Candy Factory. Conveyor With Chocolate Candies. Description: Candy factory. Conveyor with chocolate candies. 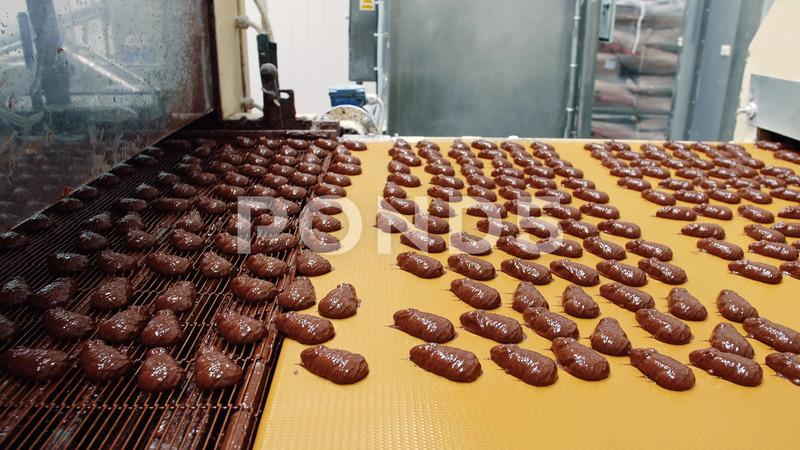 Bunch of yummy sweets with chocolate coating lying on conveyor belt in confectionery factory.